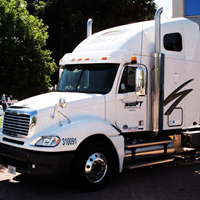 Semi trucks and other transport vehicles need as much if not more care than a typical personal vehicle because they are always out and about and can even serve as living space for some individuals. To keep the interior and exterior in good condition regular cleaning, detailing and protection are necessary. It also necessary to keep things clean and sanitary. With our interior detailing processes we steam clean and sanitize the interiors as well as condition and protect. We also can take care of all the various needs of the exterior. 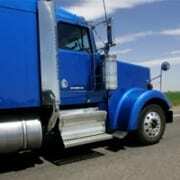 We offer a wide variety of Semi Truck/Box Truck and Trailer washing and detailing services. *No minimum number of hours are required. *Hourly service, price may be capped. We accept cash, check and cards as form of payment. Prepayment or an Appointment Deposit is required to schedule a service unless otherwise stated. You may pre-pay for service or buy online to purchase a gift certificate. Our mobile detailing service is a convenient way to have your car professionally detailed while you work, spend time with friends or family, or do other important things. We also now offer in shop detailing at our Murray location to better serve all of our customers needs. You can drop off and pick or wait in our lounge while your vehicle is being detailed.